Rumors that Apple Inc. (NASDAQ:AAPL) is working on a streaming music service, dubbed iRadio, continue to persist. But does the world really need another streaming music service? Isn’t iTunes enough? A recent study by NPD provides convincing data that shows why a streaming music service might look compelling to Apple Inc. (NASDAQ:AAPL) management. What’s so great about streaming music? Apple Inc. (NASDAQ:AAPL)’s iTunes dominated the market of digital music downloads yet again in 2012, with fourth quarter market share coming in at 63%, according to NDP, down from 66% in 2010. Much of Apple’s decline was at the expense of Amazon.com, Inc. (NASDAQ:AMZN)‘s gain from 13% to 22%. Apple Inc. (NASDAQ:AAPL)’s decline, if anything, was less than expected. As NPD Senior Vice President of Industry Analysis Russ Crupnick explains, “There’s a belief that consumers don’t need to buy music because of streaming options, when in fact streamers are much more likely than the average consumer to buy music downloads.” Put another way, as streaming music soars in popularity, it seems logical that digital downloads would decline. But the opposite is true: streaming listening inspires digital purchases. Since people who listen to free streaming music are more likely to purchase music, Apple Inc. (NASDAQ:AAPL) could be launching the service on the premise that if it gets more of its customers to listen to music, more of them will purchase music. Facts from NPD’s study strongly support this idea. 38% U.S. consumers surveyed by NPD said that owning music is important to them, but among those that listen to Pandora Media Inc (NYSE:P) and other free music-streaming services, 41% said that owning music was important to them. “In fact, many free streamers attributed buying more downloads to their discovery on a radio or via an on-demand service,” the study claimed. Though Apple’s known to be a tough negotiator when it comes to music royalties, the company does have a bit of bargaining power. 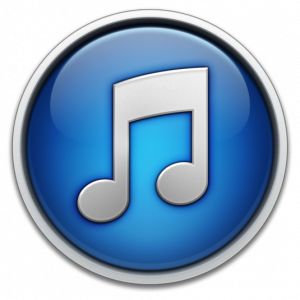 “Since the launch of Apple’s iTunes store, digital music downloads have become the dominant revenue source for the recorded music industry and iTunes continues to be the dominant retailer,” Crupnick explains. Now multiple music industry insiders have told The Verge that significant progress has been made in the talks with two of the top labels: Universal and Warner. One of the sources said “iRadio is coming. There’s no doubt about it anymore.” Apple is pushing hard for a summertime launch. Universal and Warner were two tough wins when it came to Apple’s iCloud service. Universal was the last to sign and Warner apparently was leery of cloud-based services, according to MacRumors. If Apple does successfully launch a music streaming service, Pandora Media Inc (NYSE:P) could be doomed. Any major competitor would be a serious threat to the company as it continues to post losses as it pays out more royalties than it’s taking in on ad and subscription revenue.